While others were on swan lake, Serena Gili may just be the goose who laid the golden egg. 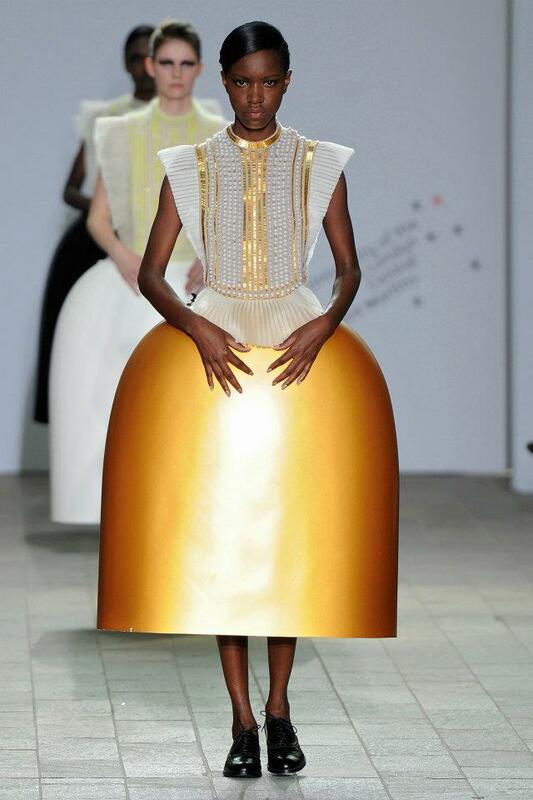 Golden egg skirts, courtesy of Serena Gili. 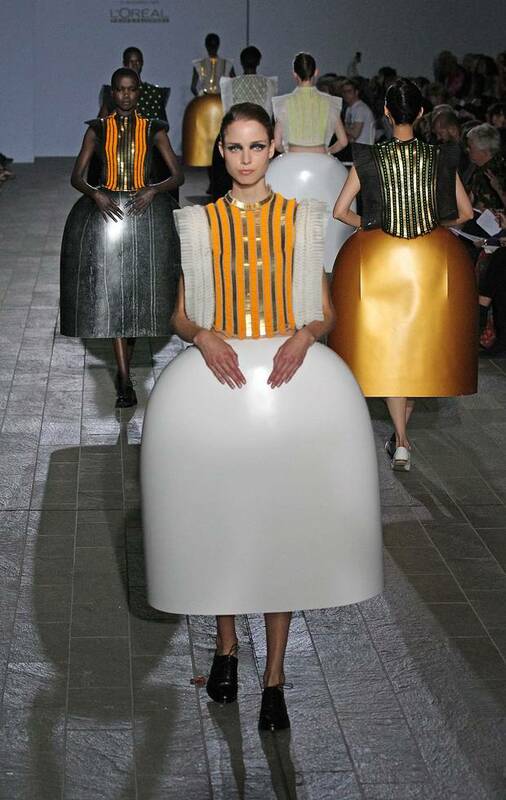 The Central Saint Martins student didn’t take home Designer of the Year at the school’s graduate show last night, but came in third place. Her golden moments have just begun, I suspect. A gilded future, in black and white. Images: Vogue UK and The London Evening Standard, respectively.